“Costoluto Genovese sel Valente” is a very common variety these days, but I wanted to list it this year because it is such a good choice for those gardening in hot areas. 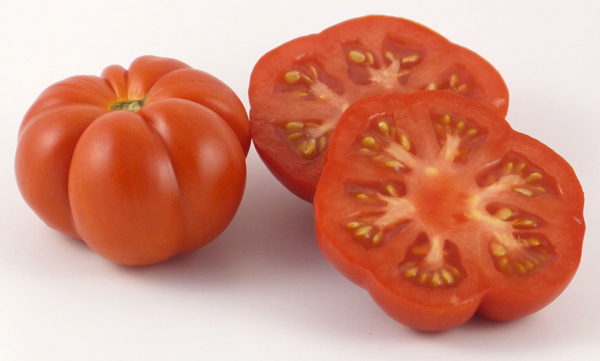 This is one of the few heirloom varieties that is significantly heat tolerant. 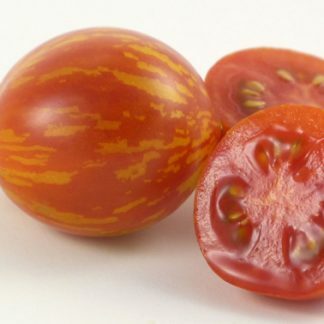 There has been a bit of debate as to whether this should be a smooth or ribbed tomato. I have found that suppliers in both the US and Italy are showing Genovese and Fiorentino as ribbed and smooth interchangeably. “Costola” means “rib” in Italian, so there is “ribbed” in both names. I am thinking these are generic regional varieties in Italy, much as “Creole” is in the US, where you can get a few different versions under the same name. 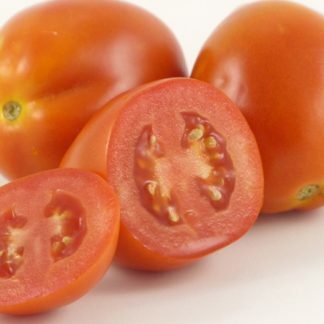 My seeds came from a packet by Emanuele Larosa Sementi, designated “Tomato Costuluto Genovese sel Valente.” From what I can determine, this is probably a designated regional variety of Costoluto Genovese. The image on the packet shows a mostly smooth beefsteak. 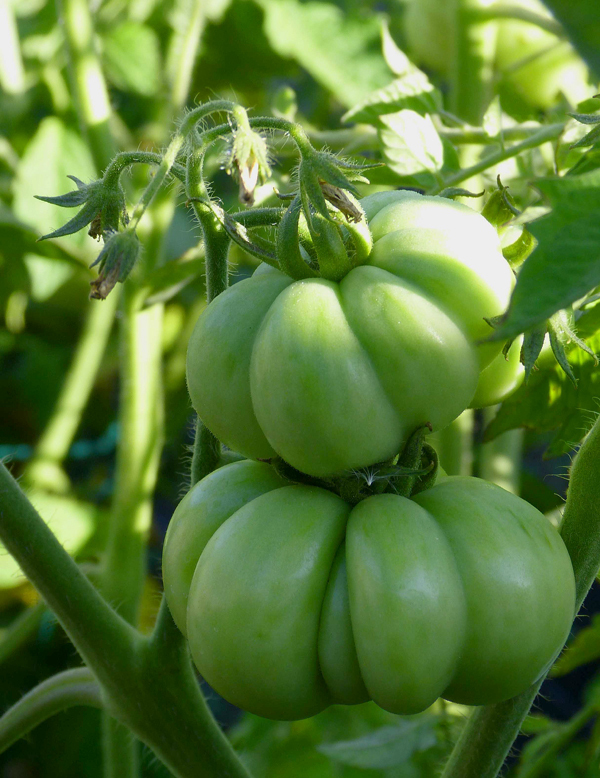 What grew from the seeds was the familiar flattened heavily scalloped beefsteak. 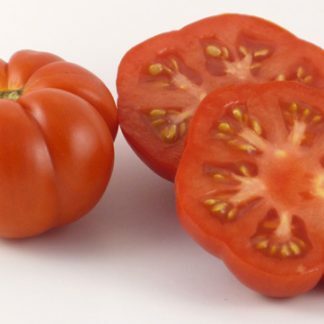 If there was any difference between this and the CGs I have grown in the past, it is that “sel Valente” seemed to have a sweeter strong tomato flavor. The texture of the flesh was moist and succulent. 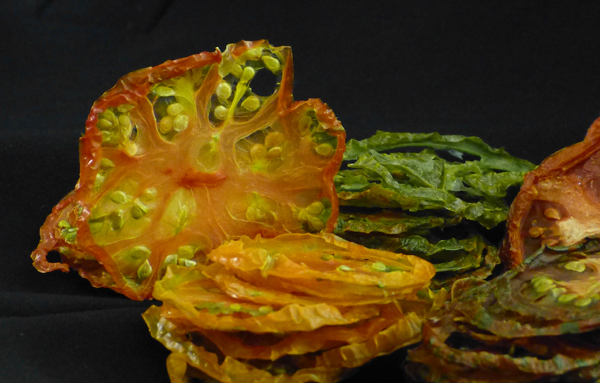 An additional use for this scalloped variety is to create beautiful slices in dehydrated tomatoes.